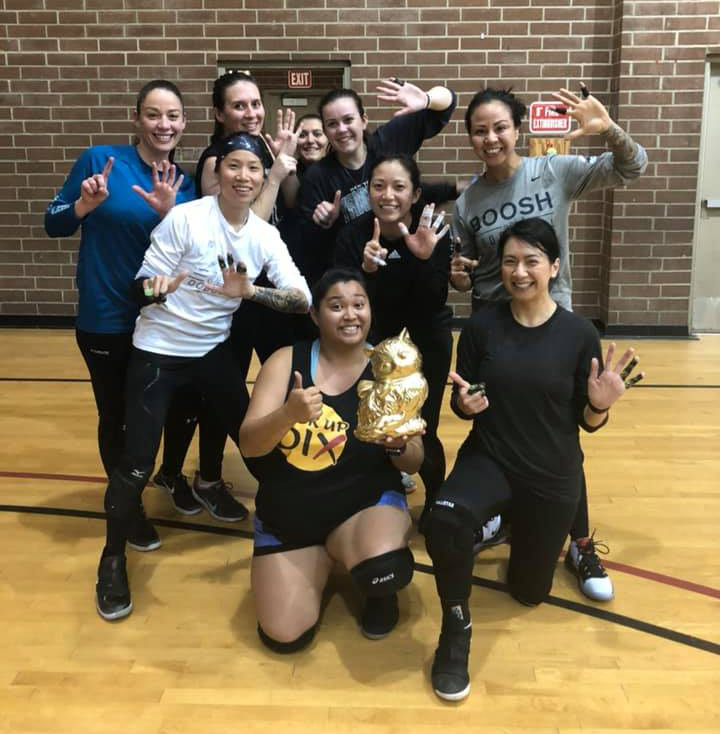 2019 Winter League Champions: Sweet SIXteam! Welcome to the No Boyz Allowed League! We are located west of Santa Monica Blvd. and N La Brea Ave. at the Poinsettia Rec Center. 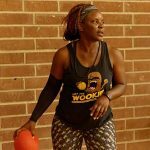 This is an all-girl league and is perfect for newbies and veterans alike. Registration closes 2 days prior to the first day of the season to accommodate an open play scout and draft by captains. All players will be drafted onto teams and gameplay will begin the week after. This league plays with an active neutral zone. All games are played with the official no-sting rubber dodgeball of the World Dodgeball Society to sweet tunes all night. Weeks will alternate between no-sting and foam balls, with two separate championships at the end of the season! Open gyms are from 8-10PM, open to all skill levels. FREE if you’ve already registered, $5 for everyone else. Rankings based in the following order: overall record points, (win = 3 points; tie = 1; lose = 0), head-to-head play, and game differentials. One-der Women (6) FOURplay (1) Potty Katie, M.J.
FOURplay (2) Koyo’s A H8r (3) Potty Katie, M.J.
SabaTWOtiger (3) Frown Town (3) Potty Karina, M.J.
Frown Town (1) Koyo’s A H8r (6) Potty Karina, M.J.
9:00 PM High 5ive (3) Koyo’s A H8r (3) Stage Zander, M.J.
9:30 PM One-der Women (1) High 5ive (5) Stage Zander, M.J. Parking: Free street parking. Check street signs - permit-only on many of the streets south of the park. Limited street parking. Valet available.